Sheriff John Trumbo and Under Sheriff Terry Rowan replace panels used to unload horses they brought to the Sanctuary today. | Buck Brogoitti Animal Rescue, Inc.
← Under Sheriff Terry Rowan and Randy Severe with new Sanctuary resident Roscoe. 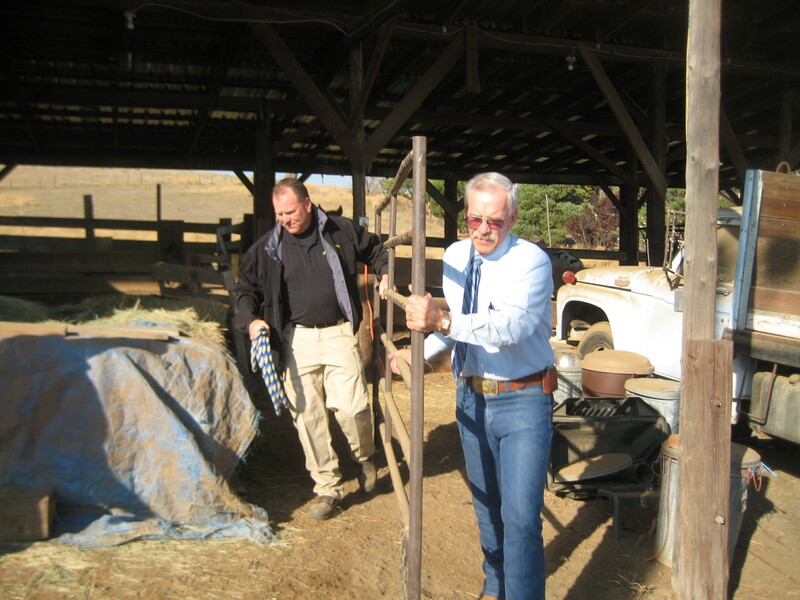 Sheriff John Trumbo and Under Sheriff Terry Rowan replace panels used to unload horses they brought to the Sanctuary today.